Made in Italy. Angled Pedestal. High Gloss. 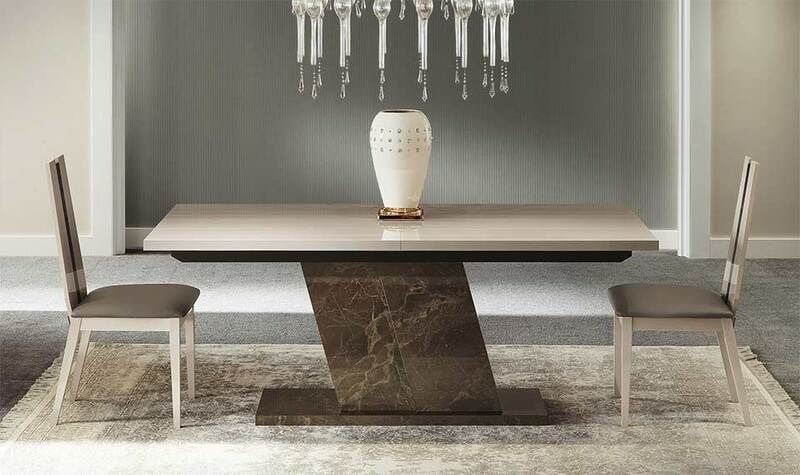 In the Teodora collection, the Light Elm is combined with Emperador stone to create a warm and welcoming ambience to your dining to your dining experience. 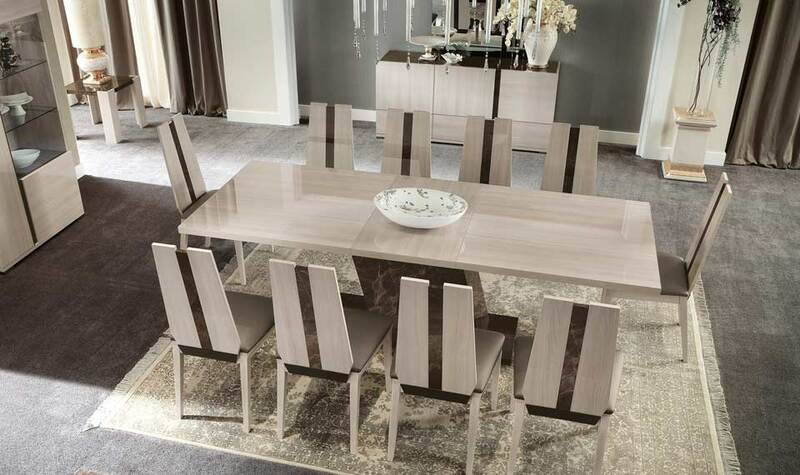 The table is available in two sizes and comes with one extension leaf that can be stored easily in the base. 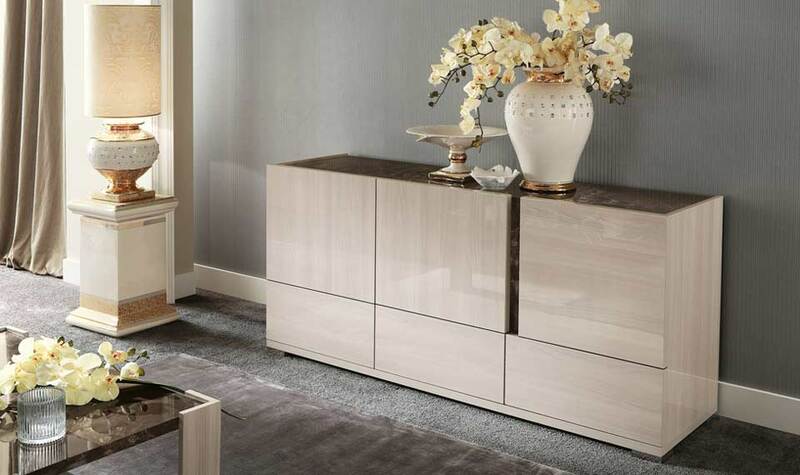 The buffet and curio add additional space for storage and to display some of your finer wares. 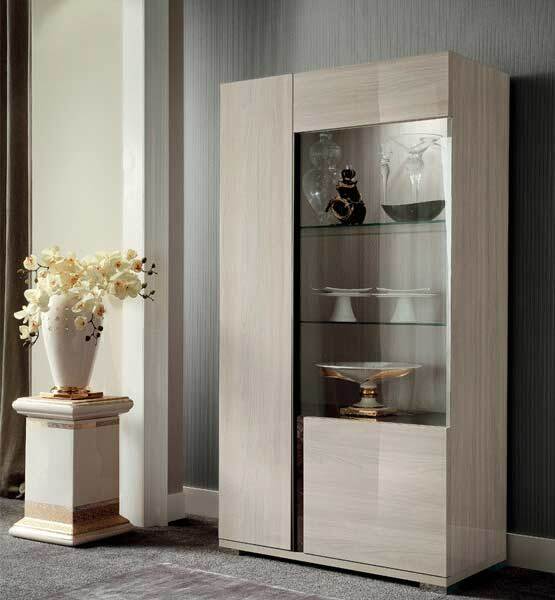 Light Elm Eco Veneer High Gloss and Emperador Stone Finish High Gloss. 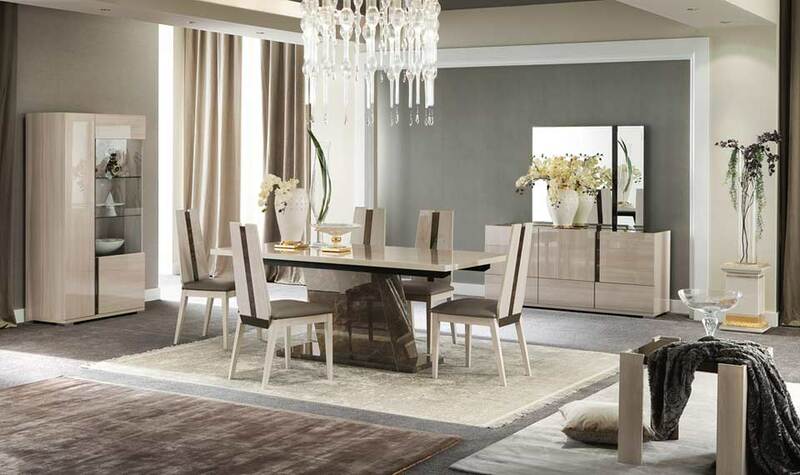 A W: 63 x D: 37 x H: 30" Extend to W: 83"
Eco leather Chair W 21" x D 22" x H 41"
Made in Italy, White high gloss finish.